Born August 7, 1972in Tân Định’s Parish, Saigon, Vietnam, Fr. Justin T. Le is the youngest of a family with seven children. He holds a Bachelor’s Degree in Business Administration from San Jose State University, a Bachelor of Sacred Theology from Saint Mary’s Seminary in Baltimore, a Master’s Degree in Divinity and a Master’s Degree in Theology from Saint Patrick’s Seminaryin Menlo Park, California. He was ordained a priest by Bishop Patrick J. McGrath on May 23, 2009 for the Diocese of San Jose. After ordination, he was assigned as Parochial Vicar at Saint Mary’s Parish in Los Gatos. 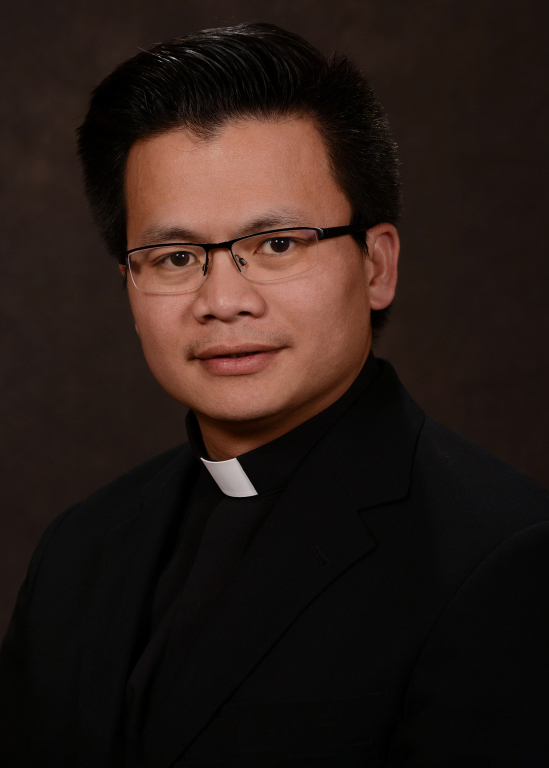 In July 2011, he was appointed as 7thpastor of Saint Elizabeth Catholic Church in Milpitas. In the diocese of San Jose, Fr. Justin has also served within various diocesan organizations as chaplain of the Catholic Professionals Club, advisory board member of the Catholic Foundation and vice chair of the Diocesan Priests’ Council. In July 2017, he was appointed as Dean of Deanery 4 in the diocese of San Jose. Beginning July 1, 2018, Bishop Patrick J. McGrath appointed Fr. Justin as 9thPastor at Saint Maria Goretti parish. Fr. Jonathan Cuarto was born on June 24, 1972 and raised in Cebu, Philippines. He is the youngest of a family with eight children. He was a sailor and worked in merchant marine vessel in the Philippine Islands. In 1996, he joined the Order of Saint Augustine for five years. He got a bachelor’s degree in Philosophy at Christ the King Mission Seminary in Quezon City, Philippines. He started his theology studies at University of Santo Tomas in Manila. In 2001, he came to California to pursue his priestly vocation for the diocese of San Jose. 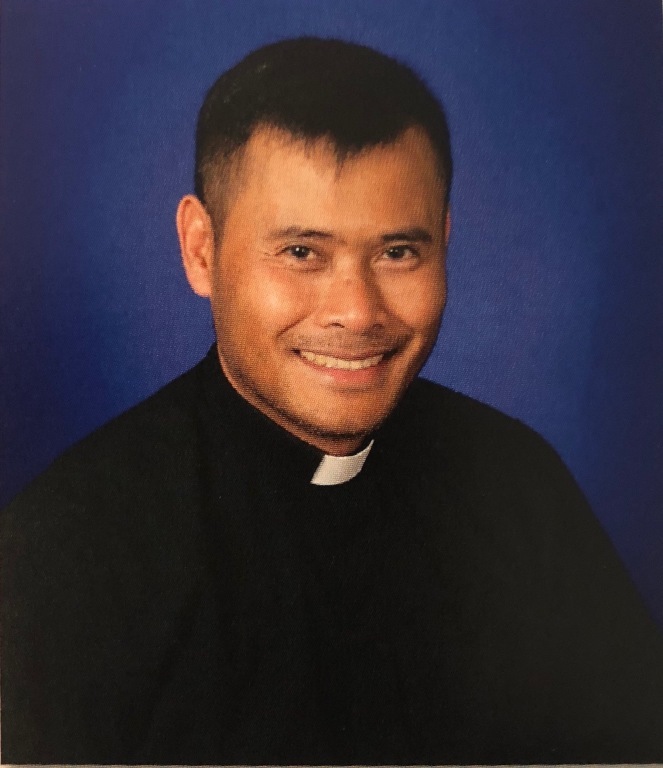 He went to Saint Patrick’s Seminary in Menlo Park and continued his theology and graduated with a degree in Divinity, master’s in theology, and bachelor’s in sacred theology. On December 10, 2005, he was ordained a priest by Bishop Patrick J. McGrath for the diocese of San Jose. Beginning July 1,2018, he is appointed parochial vicar at Saint Maria Goretti parish. Fr. Dat T. Luong was born on April 27, 1982 in My Tho, Vietnam. He immigrated to the United States at the age of 17. After finishing high school, he felt a call for priesthood. With a lot of support and encouragement from family and friends, he entered the seminary to pursue his vocation. He earned a bachelor’s degree in philosophy at San Jose State University and a master’s degree in Divinity at Saint Patrick Seminary in Menlo Park, California. He was ordained on June 1, 2013 by Bishop Patrick J. McGrath for the Diocese of San Jose. He served as parochial vicar at Saint Thomas Aquinas Church in Palo Alto (2013-2016) and Our Lady of Refuge Parish for 2 years (2016-2018). Beginning July 1, 2018, Fr.Datis appointed parochial vicar at Saint Maria Goretti parish. Galindo and Chávez Middle School and Fray Pedro de Gante High School in his hometown. He obtained a degree in Philoso- phy and Theology at the Diocesan Seminary of San Juan de los Lagos, Jalisco, Mexico. On May 5, 1984, he was ordained a priest in the Diocese of San Juan de los Lagos, Jalisco, Mexico. 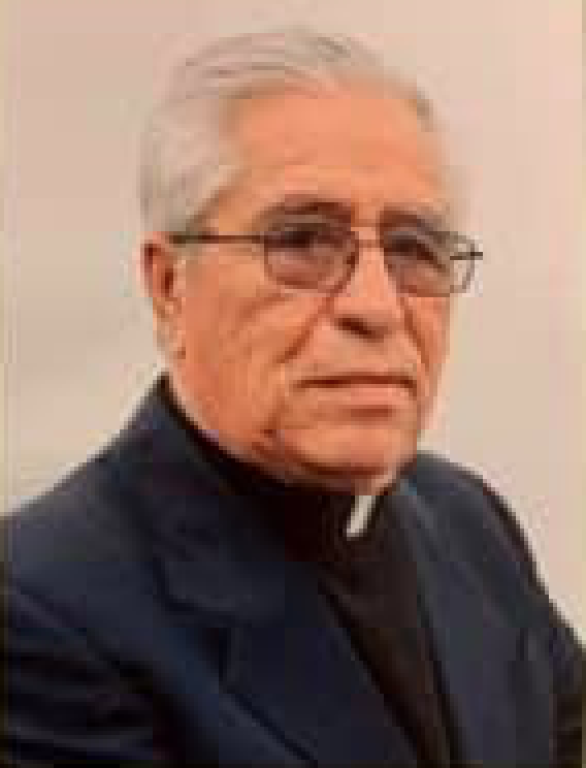 He worked in the Social Pastoral Care and spent five years at the head of the Pastoral of Migrants in his Diocese of San Juan de los Lagos. He has collaborated in the Diocese of Tenanc- ingo, State of Mexico and in the Archdiocese of Oaxaca, Mex- ico. He came to the United States on June 30 of this year.